To study complement function in mammalian leishmanioses, we developed mouse monoclonal antibodies to the human complement system components C1q, C4, factor D, factor H, factor B, properdin, C5 and C9. Antibody specificity was determined by indirect and capture ELISA and by Western blot. In flow cytometry analysis, seven antibodies recognized the cognate component on human serum-opsonized Leishmania promastigotes. Antibody reactivity was screened against promastigotes opsonized with sera of nine mammalian genera: pig, guinea pig, goat, rabbit, cat, dog, hamster, jird and rat. No antibody recognized jird epitopes on promastigotes. Anti-C4, -properdin, and -C5b reacted with the orthologous protein of all other mammals tested except cat (anti-properdin) and hamster (anti-C5b); anti-C9 only recognized the rabbit ortholog, and anti-C1q, -factor B and -factor H did not react with any of the nine orthologs. Such interspecies crossreactive antibodies can be valuable tools for analysis of mammalian complement function in infectious diseases. 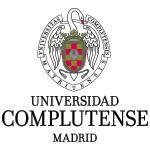 Monedero M., Infantes-Lorenzo JA., Moreno I., Martin AB., Macias RIR., Torano A. y Dominguez M.
Centro de Investigación Biomédica en Red de Enfermedades Hepáticas y Digestivas (CIBEREHD). Instituto de Salud Carlos III (ISCIII). Instituto de Investigación Biomédica de Salamanca (IBSAL). Laboratory of Experimental Hepatology and Drug Targeting (HEVEFARM). Facultad de Farmacia. Universidad de Salamanca (USAL). REVISTA: Comp. Immunol. Microbiol. Infect. Dis. AUTORES: Monedero M., Infantes-Lorenzo JA., Moreno I., Martin AB., Macias RIR., Torano A. and Dominguez M.